Dinosaur Comics - September 26th, 2018 - awesome fun times! 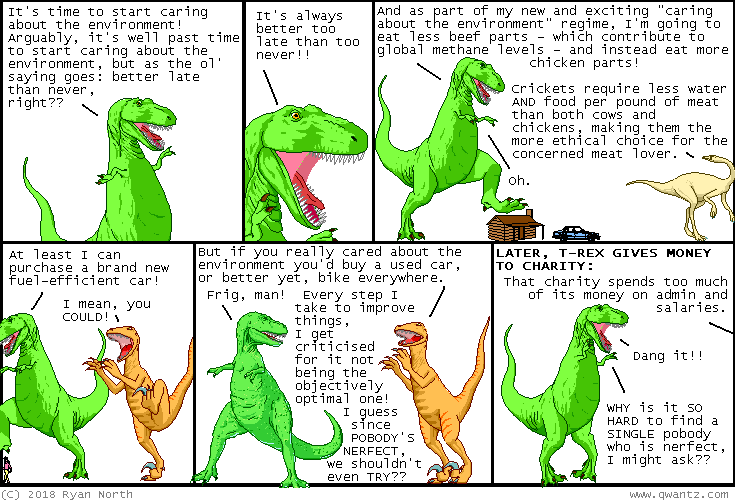 September 26th, 2018: This comic used to mention solar power, but it turns out that solar cells are great, so instead I've rewritten panel three to be about everyone's favourite meat protein: crickets! Sorry for the misleading words from Dromiceiomimus! She is the voice of REASON and I'd like to keep her that way.